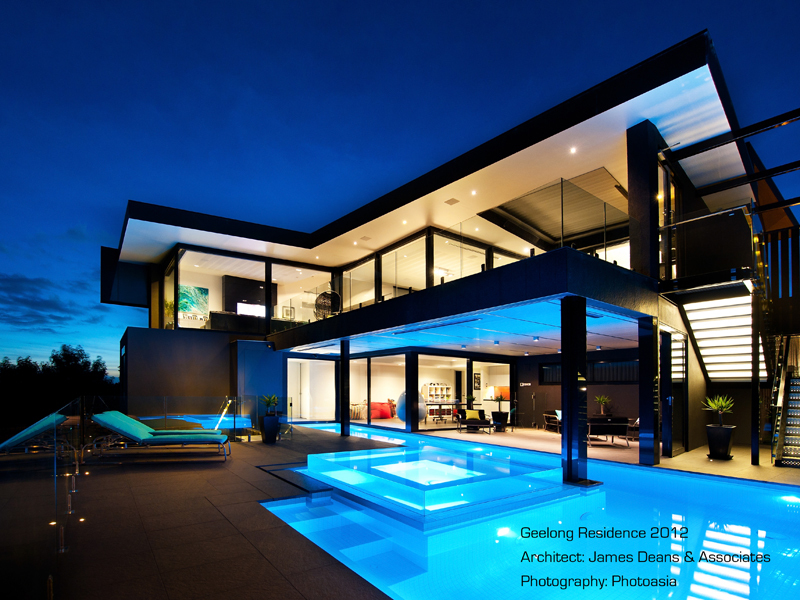 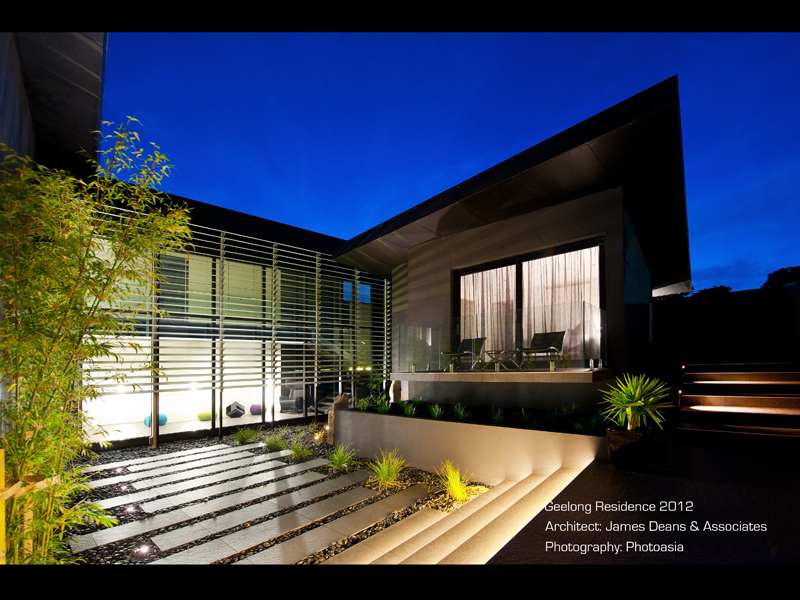 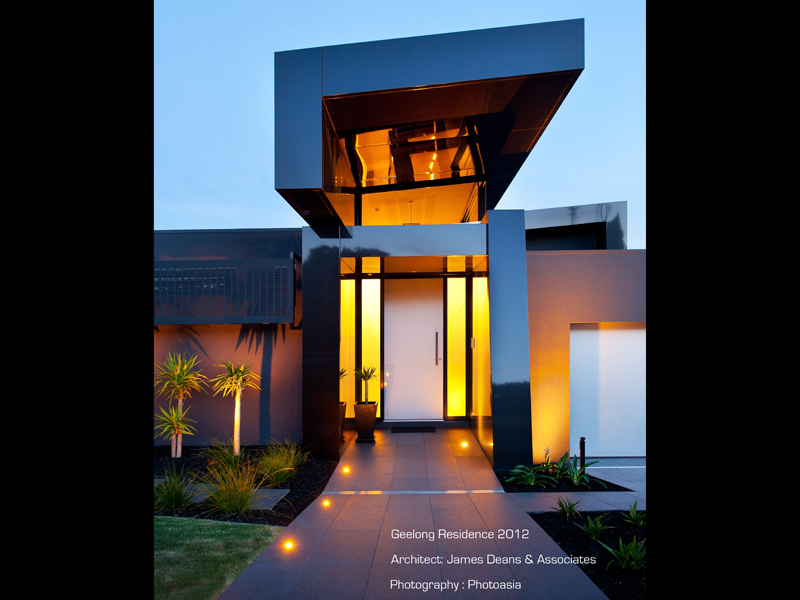 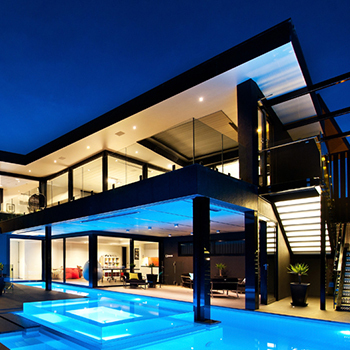 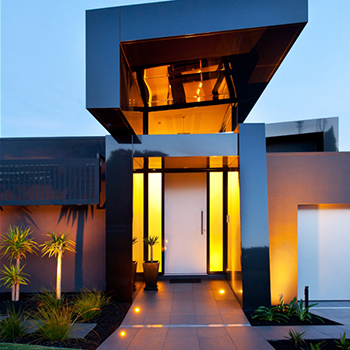 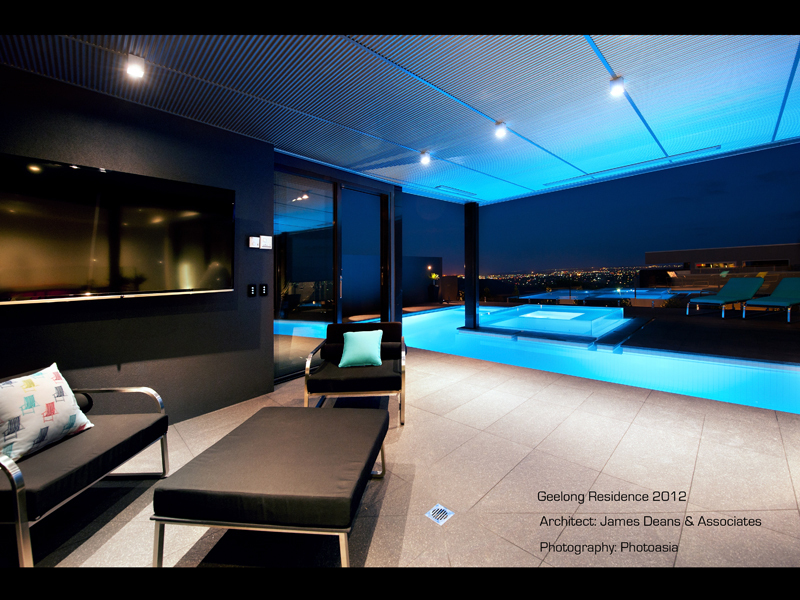 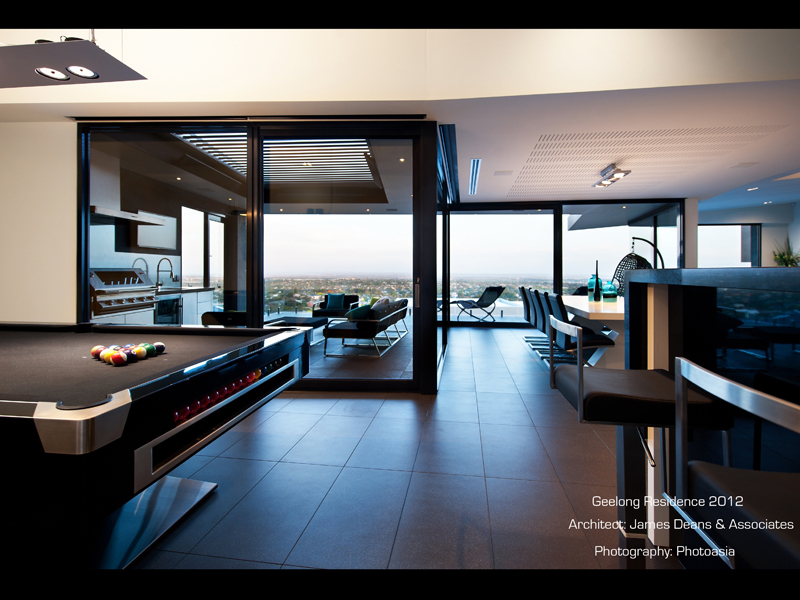 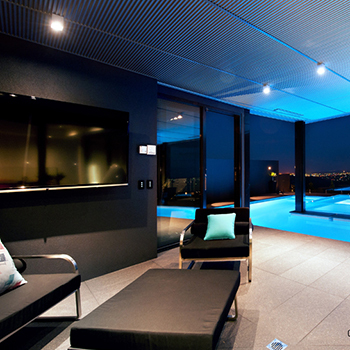 Sonic Lighting was proud to design and supply the lighting for this residence in Geelong. 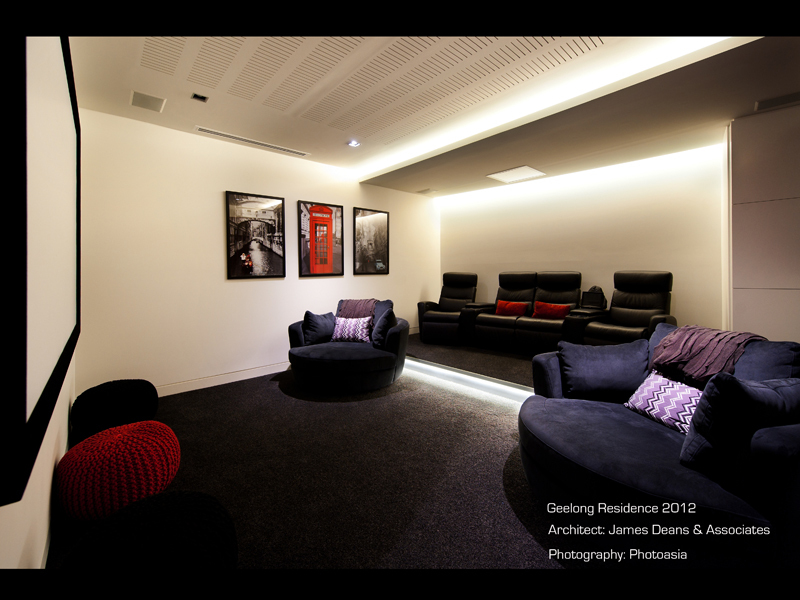 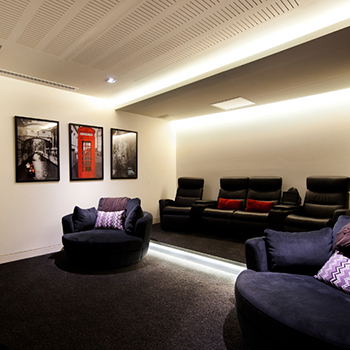 The lighting incorporates LED strip lighting within aluminium extrusion in the feature wall and interior bulkheads, with RGB strip used in the bar area and white strip also used throughout the kitchen, hallways, games room and cinema. 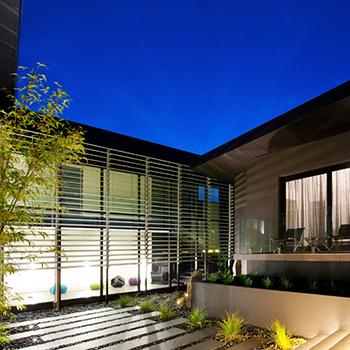 LED Rigid Strip was used to highlight the external steps. 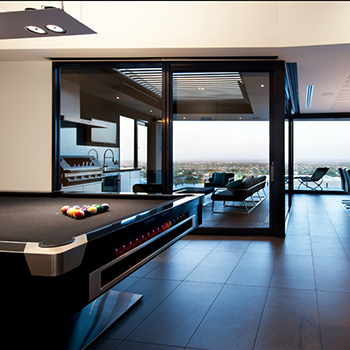 The Z-Skin pendant from Z-Line lights the pool table, Arkos Profile 040 recessed in the foyer void area, and the Arkos Spider Q surface mounted over the dining table.